they're so pretty! i can almost smell them through the monitor. 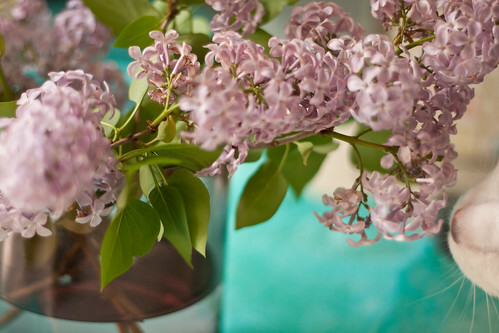 This made my day - lilacs are my favorite flowers, and I've got a few weeks yet here in MN before mine bloom. 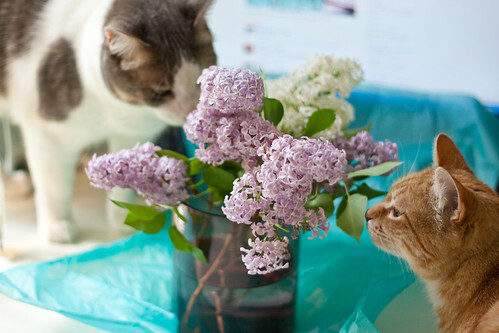 I love that your cats have good taste in flowers too! Beautiful! I posted lilacs today, too. Must be the season! Oh, I REALLY love these pics! These pictures are just about the most beautiful thing I've ever seen. 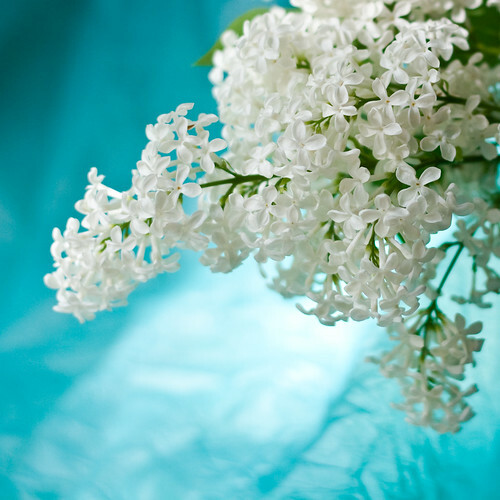 The lilacs against that turquoise background is just breathtaking. Your photography skills amaze me. I can almost smell them through my computer monitor! Beautiful!